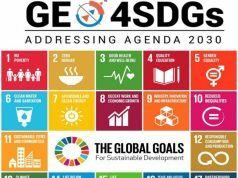 How will geospatial data be useful in achieving the United Nation’s Sustainable Development Goals (SDGs)? The work in the area of sustainable development is largely being managed by statistical agencies and census bureaus within governments. They are quite familiar with demographic information and population data, but may not know a lot about earth observation. When you think about those 17 sustainable development goals — and whether it is access to clean air or clean water, improving health and all the statistics associated with that — then there are really important environmental datasets that ought to be included in the equation. 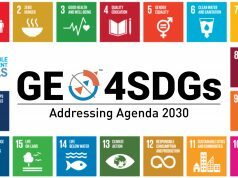 So, we feel very strongly that earth observation and geospatial information can be an enabler or facilitator for the implementation of the SDGs. But we have a big challenge and an education exercise to undertake to make sure that those statistical organizations are relying on earth observations also. Do you see the need to create a global, regional or national framework to streamline the availability and accessibility of data across nations to achieve the SDGs? There is a need for that. I would say there are frameworks that exist. The Group on Earth Observations is working at the global, regional and at the national levels to make sure that all entities across that entire spectrum that are collecting and using earth observation data are working together. So we have a nice global framework for GEO. But specifically for the sustainable development goals, we are working with another global framework which is being managed by the UN-GGIM [the Global Geographic Information Management System]. So together there are international frameworks that just need to be leveraged. These frameworks are already there but they need to be fully developed and better employed and supported. Across much of the world we are moving from a data-poor paradigm to a data-rich paradigm. So, how can data be harnessed and best used to achieve the SDGs? I agree that we have the potential access to more data now about the Earth than we have had before. But much of that data is still locked up in archives around the world. What GEO is doing — particularly when it comes to public resources — is advocating broad open data so that you can unleash the power of earth observations. There are a lot of data out there but they are not all discoverable and accessible, and we need to work on that. What are the policy recommendations of countries in this aspect? There are countries that have adapted broad open data policies for government assets. So, what we are essentially saying is, whether it is from space, from the atmosphere, the marine environment or land, if public resources or the taxpayers’ money went into building the satellites or the instrumentation or paying the people to collect that information, then the data needs to be similarly released broadly and openly. Governments should not be charging their citizens for data that those citizens have already paid for. Should open data only be a government initiative? Or at times of distress and crisis even commercial data can be open? First of all, primarily what we are advocating is those investments that have been made by the taxpayers and that they are entitled to this information. That is fundamental. Next, we already have very good examples around the world where the private sector is coming to the table in times of need and either opening up additional tasking time on their satellites or opening up additional data from their archive. 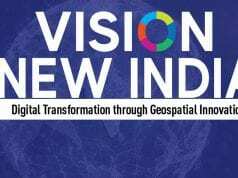 To create a robust economy around geospatial data, I think there is a very important role for the private sector — whether it is the Big Data providers or small and medium-sized enterprises — to use data that has already been collected at taxpayers’ expense and to build additional applications and innovation. I feel very strongly that the true innovation is going to happen with small and medium-sized enterprises and the commercial sector, and we need to recognize that they have a different role in this ecosystem. What is the cost of open data to the government and how do we recover this? Let me draw back on my personal experience in the United States with the Landsat policies. The government was investing tremendous resources into Landsat. We were just not leveraging those investments. So, while there may be some costs that are very important for the government to acknowledge, right now we are not using government resources efficiently. Government agencies selling data to other government agencies is not good use of the taxpayers’ money. Is open data linked with open government? Absolutely. I think it is a precursor. So for me, it is all about open data, open standards, open software, transparency and open government. Governments and government entities are here for one purpose — to serve the public good, to serve the taxpayers and the citizens. I think until we create these more open environments, we are doing a disservice to the people that we are supposed to be serving. Will open data only be open within national boundaries or can we move beyond? It’s a start to open up data within national boundaries. But within GEO we have a saying that goes something like ‘countries have borders, earth observations don’t’. That is important, because the Earth does not behave country by country. It is a global system and the processes that occur at one part of the Earth or one part of the globe affect other parts. So, clearly we are advocating that sharing data within your own government is a good first step, but we need to go much broader if we are going to address the SDGs. How would you prevent misuse of open data? How do you prevent bad people from doing bad things? We live in a world where you just can’t prevent everything from happening. So what we firmly believe in is that the benefits that will come from more open data will far outweigh the risks of a few people doing some bad things with that information. There is a huge debate growing around data privacy now. Where do we draw the line? I have very strong feelings about that. Privacy of individuals must be protected. So, what we are looking at are conglomerations of data that cannot be pinned to any one person and their actions, but the sum total of those actions that have an impact on our environment ought to be measured so that people can make better choices about what they are doing. Personal privacy absolutely needs to be protected. But the sum total of citizens’ actions that are having an impact on our globe need to be monitored.